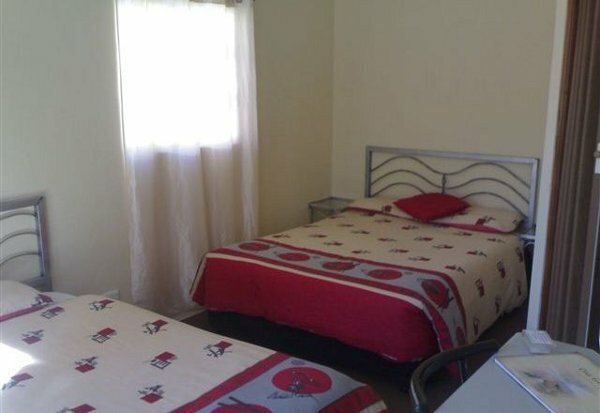 Lazy Gecko is situated in a quiet upper residential area in Cradock, Eastern Cape. Come and enjoy your stay in the beautiful Karoo with lots to do and see and at night have a peaceful rest in one of our modern open plan units. All Lazy Gecko units have a fully equipped open plan kitchen and own bathroom (one with a bath and the others with a shower) and a television with SABC 1,2,3 and E. Each unit is equipped with an alarm system which are monitored by a response unit for your comfort. Secure parking with a sliding gate available. You choose between Self Catering and Bed & breakfast. Lunch and supper meals may be requested at an additional fee per person, which is supplied by a caterer. A Cafe and gym is walking distance from the property. The Karoo – South Africa’s vast central plateau, is a land of wide open skies and, for many South Africans, the true heart of the country. As an enviro-tourism destination, the Karoo is unsurpassed, with scenery that changes from dramatic, rugged mountains to arid, open plains. Malaria free game viewing, mountaineering, hunting, farm visits, bird-watching, water sports – they’re all here, alongside imposing historical buildings, mysterious rock art and ancient fossils. Click here to enquire at Lazy Gecko.